NFV just got real! 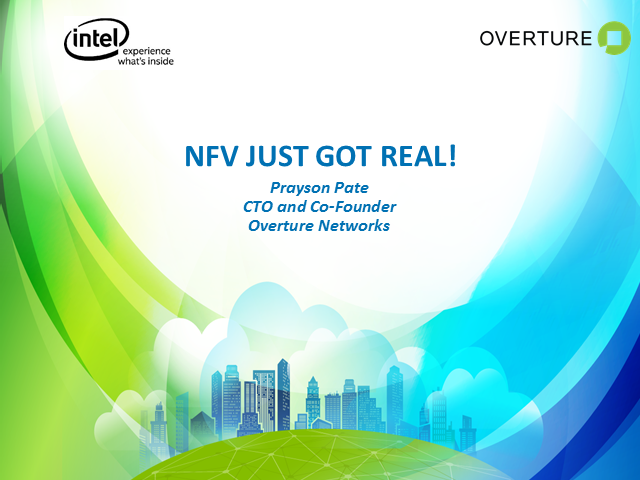 Overture and Intel are joining to help carrier service providers (CSP) transform the way they deliver services to attract customers and grow revenue. During this webinar we will discuss how pure-play network functions virtualization (NFV) at the network edge can be deployed for service agility that enables rapid and dynamic activation of revenue generating services in a cost effective manner. We will share customer experiences and best practices including real data on performance and total cost of ownership.. Title: NFV Just Got Real!